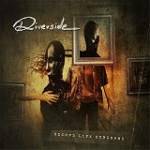 More information: Vinyl re-release of Riverside's second studio album, which saw the band build on the positive momentum of its debut, Out Of Myself. A stunning collection of atmospheric pieces that effortlessly and coherently combines ethereal melancholy with grit and bite, Second Life Syndrome was the second part of the band's early conceptual trilogy of albums. Double 180g vinyl in gatefold sleeve with bonus CD.